TUA Engineering is a distributor of light commercial reverse osmosis systems. What differentiates between a domestic use or a light commercial use of a reverse osmosis is essentially the number of individuals utilising the system or the amount of litres of drinking water consumption required. These systems can be utilised for small industrial premises, offices, restaurants, shopping centres, schools and hotels amongst others. 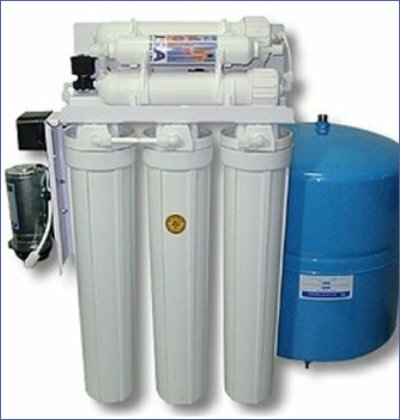 For every installation of reverse osmosis system, there must be a tapped water supply coming directly from the main supply together with 13 Amp with a 230V/AC supply and finally a drain. The RO200 provides a high capacity with a low cost. 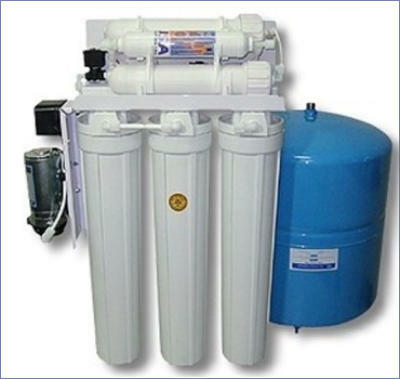 It consists of a 5 stage filtration system with a 41.6 litre corrosion free plastic water storage tank . 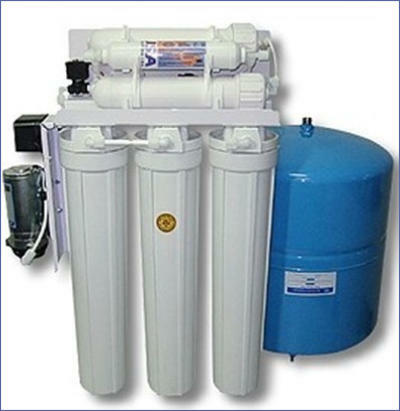 Contact us if you wish that we help you set up the right solution of water treatment for your needs. The RO400 is composed from a similiar system like the R200, with the main difference between the two, being an increase in the capacity per day. It also comes with a 41.6 litre corrosion free plastic water storage tank . Contact us if you wish that we help you set up the right solution of water treatment for your needs. The RO400 is composed from a similiar system like the R200, with the main difference between the two being in the capacity per day. It also comes with a 41.6 litre corrosion free plastic water storage tank . Contact us if you wish that we help you set up the right solution of water treatement for you.